Paris, France is every bit the romantic capital of the world. It’s a city that inspires a great love of history and art, and invokes feelings of nostalgia in all who visit. Unfortunately, it’s easy to miss much of the charm if you’re concerned with how you’re getting there. Paris is a huge city, filled with side streets and historical routes that can be difficult to navigate. Unless you’re native to the city, then you’re going to find yourself lost or simply giving up on some of the attractions. There are trains and other forms of public transportation, but many of these lack a personal touch that shows you a more intimate side of Paris. Anyone who’s had experience touring cities like this will tell you that the best way to see everything is by using a taxi service. Taxi services can do so much more than just ferry people from one place to another. There are companies who operate with more of a personal touch. There are even some, like City Airport Taxis, who offer customised services that can be tailored to your needs. They offer websites that allow you to choose services, pick your dates, and arrange everything long before your plane even lands. From the time that you exit the airport to the time that your return for your flight home, you can have a taxi ready and waiting with a prearranged itinerary. Some people have a difficult time putting together their travel plans. They aren’t sure what they want to see, and if they’ll have time to get to it. One of the many perks to hiring a taxi service are the tours that they offer. Some of these are prepackaged deals that give you the best opportunity to view the city’s highlights. Many of these services operate internationally and can help you regardless of your destination. Whether you need airport transfers in Paris, or transportation in Italy- they can help! Some of the more popular Paris tour options are definitely worth considering. No one knows a city better than a taxi driver, and they have insight into areas that aren’t exactly in the brochures. They can sometimes tell you where to get the most authentic foods, and who to talk to about finding authentic souvenirs. There’s nothing quite like experiencing a city like Paris from a taxi. You won’t have to focus on traffic or worry about making it to your train on time. You can simply sit back, relax, and enjoy everything that brought you there. Many of these tours can be customised to create the experience that you want. If you’re there with your family, then enjoy a day centred around the main attractions in Paris like the Eiffel Tower and the Champs Elysees. There are even tours that include a cruise down the Seine River before sampling native cuisine. Not a fan of long lines and crowded tours? That’s not a problem with the right company. There are ‘skip line’ passes that accompany privately guided tours of incredible places like the Eiffel Tower. Booking with a taxi service can give you more opportunities to experience your destination than you can imagine. 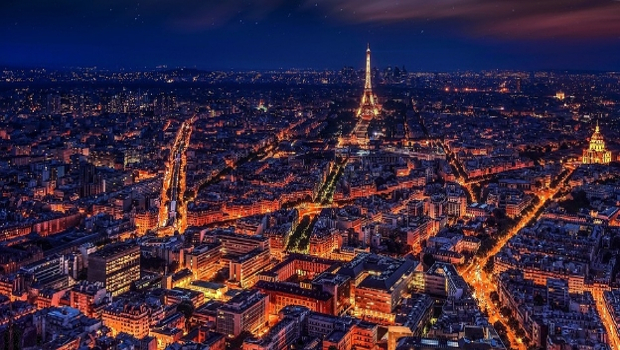 The night life in Paris is famous for its lively shows and beautiful city background. Watch the lights reflected off of the river before taking a seat at the Moulin Rouge for one of the most famous shows in all of Europe. Experience the best of everything before boarding your taxi one last time for that trip to the airport that will take you home. If you truly want to see a city, there’s no better way to do it than by booking a professional taxi service.